David took the time to understand our brand, its history, its challenges, and its potential and this has been instrumental in the success of our emerging yoga school. His creativity extends beyond the graphic design and website building arenas - David listens to us, asks great questions, gives direct feedback, and then gets to work crafting a customized, intuitive solution. 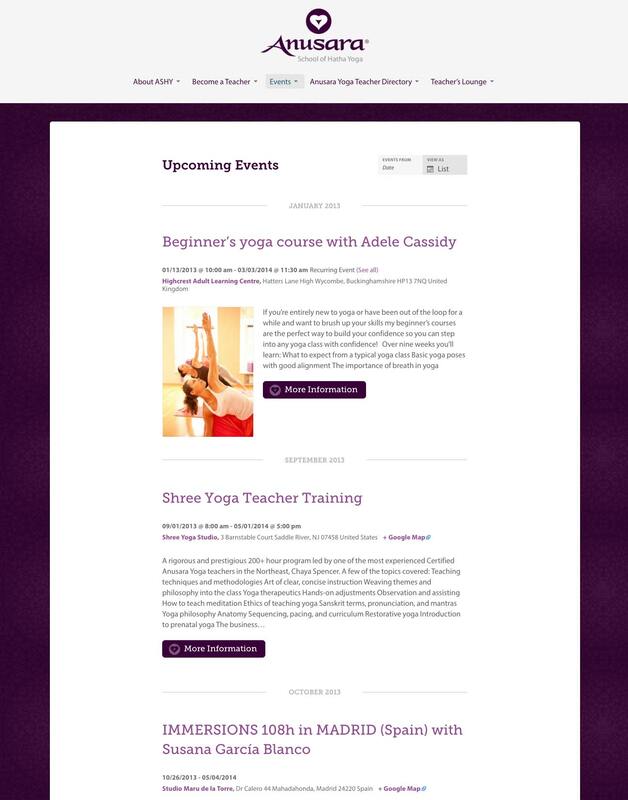 The Anusara School of Hatha Yoga was in need of a website and branding refresh. We worked with their existing site to create a design that better reflected the School’s identity, as well as adding to the functionality of the website’s events and teacher’s directory. We also decided to simplify their existing logo and extend the widely recognized symbol to other branding elements. 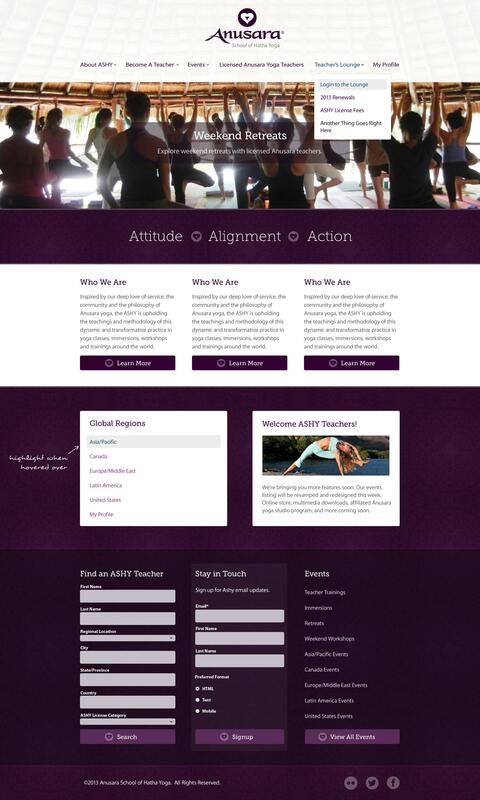 Homepage Mockup includes coordinated branding elements such as logo marks, patterns, and typography.